Arsenal’s Chief Executive, Ivan Gazidis, wished Manchester City assistant manager, Mikel Arteta good luck for the rest of the season after Manchester City’s 2-0 win of the Gunners on Sunday. Gazidis spoke with Mikel Arteta in person after defeat at the Emirates Stadium. Arteta, a former Arsenal midfielder, was close to being appointed as Arsene Wenger’s successor this summer after lengthy talks with Gazidis and Arsenal’s hierarchy. However, the Gunners chose to appoint former PSG coach, Unai Emery, primarily because of his experience. Daily Telegraph, UK, reports that Gazidis is keen to remain on good terms with Arteta and sought out the Spaniard after the Sunday loss to Manchester City. The newspaper added that Gazidis was keen to ensure there were “no hard feelings” between Arteta and Arsenal over the decision to appoint Emery as the manager to replace Wenger. Gazidis also wished Arteta good luck for the rest of his season with the win over Arsenal. 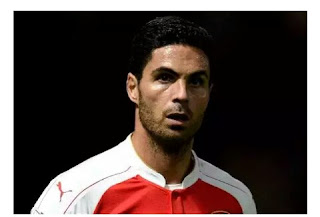 The meeting between the pair was possibly the first time since Arteta held talks over becoming Arsenal’s manager in May.